Diversion Book Set features 2 books, that will fit perfectly on your bookshelf. 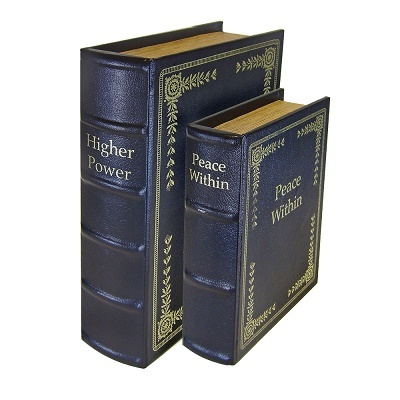 Book titles: "Higher Power" and "Peace Within". Gun concealment books make handgun concealment 'in plain sight' easy. 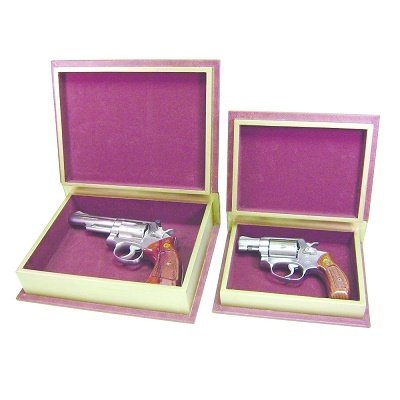 The small book accommodates small to medium firearms. The large book easily fits most full-sized handguns. Sold as a nested set, one book of each size.